I am not a slacker. I like to mark things off of my list. Well, nine months ago I got the brilliant idea to redo our living room. The plan was to cover the upholstered pieces and reuse them. It's a living room you know, the furniture is still in great shape. I got the first batch of fabric when it was on sale in January. Not enough...Months later when they had the semi-annual sale I got more. Took the furniture to the reupholstery place and found out that I still didn't have enough. I have to be honest and say that they did tell me it would take 17 yards of fabric to recover the couch and I didn't believe it. What do I know!! Just got the rest of the fabric yesterday and I need to take it to the patient upholstery people. Now they are fast and I should have it all back in two or three weeks. All of that to say, here are the pillows that have already been made by the nicest sister in law of a friend I've ever talked to on the phone. Did you get that? The colors did not come out quite right in the picture. No, the red pillow is not the fire engine red color. It is beautiful!! That red is actually what the couch is being covered in. I can't wait!! So here's a little peek at what I'm working on. I'm Carol, Cheryl's cousin. My dad, Gerald was her dad's brother. Congratulations on being a new blogger. I just started this week. 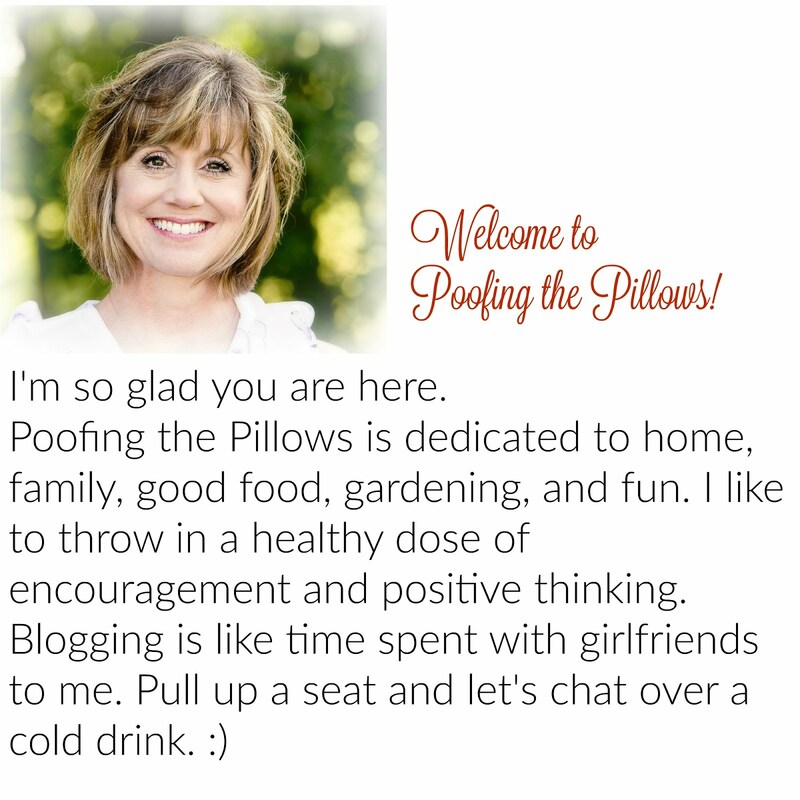 Cheryl's blog was the inspiration for me to get started blogging. I'm hoping I can add more features to my blog in the weeks to come. When you see or talk to Cheryl, tell her I said hello! I hope to hear from her soon. Hi Stacy! Thanks so much for visiting and for such sweet comments too! OOOO, my gosh...A RED COUCH !!?!! The color RED must have been made for me 'cause I love it so much. I have leather sofas so I can't have red but I have 2 chairs and an ottoman that I want to be RED so bad ! Slipcovers maybe because I can't afford to have them recovered. I can't wait to see your new living room!